A worker slips on a wet floor and sprains their ankle. The injury is immediately felt, medical care is sought, and workplace accommodation is arranged. While scenarios such as this one are quite common, not all workplace injuries can be linked to a single incident. Many of the most serious injuries develop slowly over time, if a worker is consistently exposed to unsafe conditions or performs unsafe work. The worker may not even feel symptoms of the damage until years have passed. By the time the symptoms do appear, the damage has already been done. Repetitive strain injuries, eye damage and loss of hearing are common workplace injuries that can develop slowly over time. The good news? These are largely preventable. Employers should know how to protect their workers from these injuries before they become a major health concern. Repetitive strain injuries (RSI’s) occur when the same motions are repeated again and again over a period of time. These motions can include rapid movements or holding awkward, unsupported body positions, and often result in headaches or back, muscle or joint pain. Every worker is at risk of developing an RSI, regardless of the nature of their work. This type of injury is a growing concern. A most recent study on the subject estimates that one out of every 10 Canadian adults have an RSI that affects their everyday activities. For more tips on preventing RSI’s visit The Ontario Ministry of Labour. Ensure lighting in the workplace is suitable to the task. A worker with vision problems may require their own lighting setup at their workstation. Ensure safety goggles or other protective shields (including sunglasses) are available and worn as required. 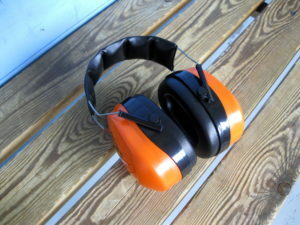 Train employees on how to use these safely. Allow for workers who spend the majority of their day at a computer to take frequent breaks away from their screens. Anti-glare screens can also help reduce eye strain. Use large print in communications and documents, with high contrast between the text and the background colours. If a worker struggles to read printed text, consider alternate communication methods such as electronic text. For more tips on eye protection in the workplace, visit the Government of Ontario. Be aware of how noise from outside maintenance or construction jobs may affect employees working inside the building. Temporary, alternative workstations may be necessary during these periods. A mentally healthy workplace is good for everyone!